I tried to find a way to support the people in the countries I visit. I was looking for an organization where they help people a step further in life with investments in their businesses or education. My friend Henny from Holland has sent me an e-mail in 2013; I never forgot that one. It was a Kiva coupon to invest in businesses around the world for people who need it. Like a farmer in Myanmar, a shop owner in Bolivia or a student in the Philippines. With the micro credit from Kiva they can make more money out of their business or a better job when they finish school. Kiva is for me the right platform to support projects I can choose. For every new country on my world trip (I’ve never been before) I’ll add $25 to my Kiva account and support entrepreneurs or students around the world who need it. When there is a project in the country, I visit I’ll support a project in that country. When there is no project, I’ll support another project in the world. Countries visited: China, Thailand, Cambodia, Vietnam, Laos, Myanmar, Malaysia, Denmark, Norway, Sweden, Finland, Estonia, Latvia, Lithuania, Poland, Singapore and Australia*. *Every month I work in Australia, I will support Kiva with $25. Total in my Kiva account. Some people are not rich they only have money. Hopefully, I can visit a lot of countries and support Kiva! 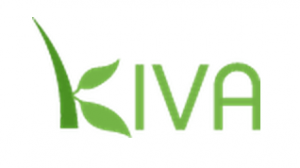 Do you want to support Kiva? Click here! With Kiva I was able to support entrepreneurs and students in these countries while I was traveling! Ecuador, Honduras, Burkina Faso, Cambodia, Nicaragua, Rwanda, Myanmar (Burma), Samoa, Philippines, Peru, Palestine, Senegal, Paraguay, Pakistan, Tajikistan, Turkey, Uganda, Vietnam, Zimbabwe, Togo, Timor-Leste, South Africa, Mozambique, Tanzania, The Democratic Republic Of The Congo, Sierra Leone, Lebanon, Colombia, Dominican Republic, Egypt, El Salvador, China, Burundi, Armenia, Azerbaijan, Bolivia, Georgia, Ghana, Kyrgyzstan, Lao People`s Democratic Republic, Albania, Mali, Kenya, Indonesia, Guatemala, Haiti, India, Mexico, United States, Lesotho, Zambia, Ukraine, Moldova, Malawi and Somalia.